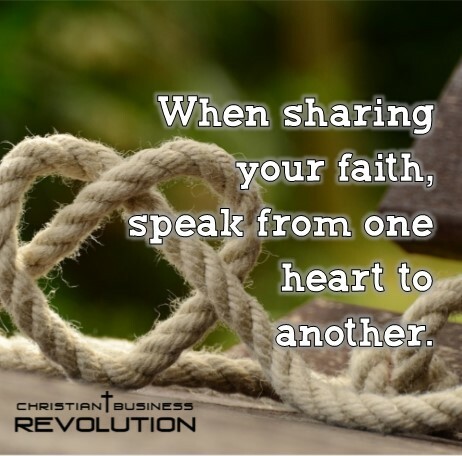 Sharing your faith in your business or personal life means you are talking from one heart to another. When we share our faith we try to remember the right words to say or we follow a script. Sharing your faith is just allowing your heart to talk to another heart. God will guide you in what to say if you are speaking from one heart to another. That is what the Holy Spirit does in your life.